We've just returned from a magical Thanksgiving at the Disneyland Resort! When I began planning our trip, I was a bit apprehensive -- would the Thanksgiving crowds ruin our holiday?? -- but we got to the parks when it opened and left when it started getting too crowded, so we had a great time. What made the trip even better is that we saved some money on accommodations by staying at a Residence Inn! Staying in one of the 3 hotels at the Disneyland Resort is great -- if you have the budget for it. They do cost quite a bit, even in the off season, and during Thanksgiving week? Fuhgeddaboudit! 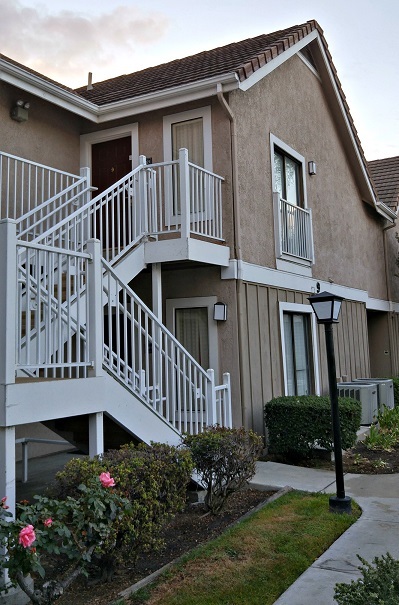 Marriott Residence Inn actually has 2 properties very close to Disneyland: Residence Inn Anaheim Maingate and Residence Inn Anaheim Resort Area. Rates can be as low as $125 and $145 per night, which isn't even half of what a night costs at the Disneyland Hotel or the Grand Californian. Both are just a couple of miles from Disneyland, so they are near enough for families to head back to their rooms in the middle of the day for a nap, then return to the park for the late afternoon and evening. 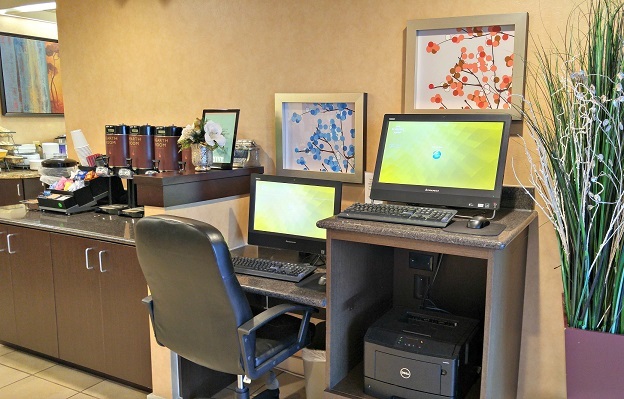 Plus, the Residence Inn offers so much more value for money, with large suites and a free breakfast! 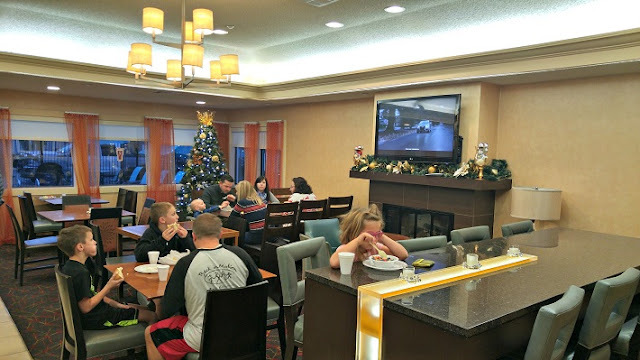 Unfortunately we weren't able to book a stay in either of the Anaheim locations because they were full for the holidays, but the Residence Inn in Fullerton had space, so we booked a stay there. The property is actually quite close, just a 15 minute-drive away, so we had no trouble getting up early and driving to Disneyland and arriving at 7:30AM. 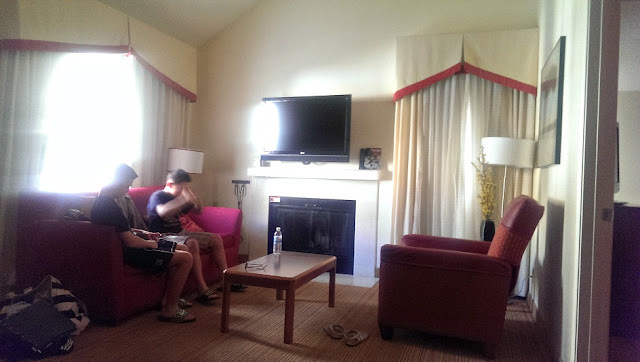 We stayed in a 1 bedroom loft suite, which sleeps up to 6 people, I love how Residence Inns are so family-friendly -- the suites have so much space, they really feel like a home away from home when you're on vacation. Disneyland vacations are great, but they are also exhausting, so having a Residence Inn suite where the whole family can recharge and relax is such a treat. 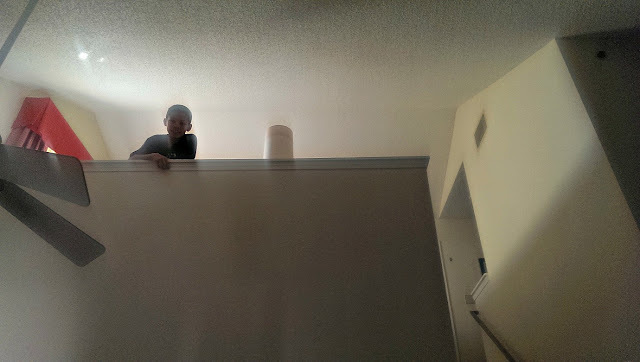 The kids were so excited to see that our suite had a second floor with a loft! The loft had a queen bed and a full bathroom. The downstairs bedroom had two comfy queen beds and its own full bathroom. This bedroom has a door, so the grownups can relax outside while the kids sleep. The suite has a large living room so everyone can unwind after a long day at the parks. 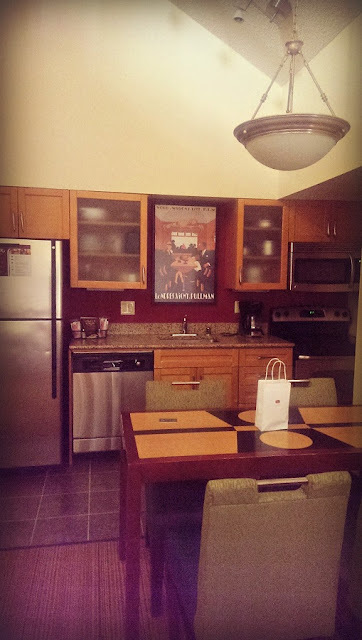 Like all Residence Inn Suites, this one had its own kitchenette, so families can have a snack or cook their own meals. When you're on vacation, it's nice to give your wallet and your waistline a little break from time to time by cooking your own meals! Breakfast, on the other hand, is an entirely different matter. We like to get to Disneyland early to avoid the long lines, so we don't want to waste time cooking breakfast or lining up at a cafe or waiting for our order to arrive at a restaurant. 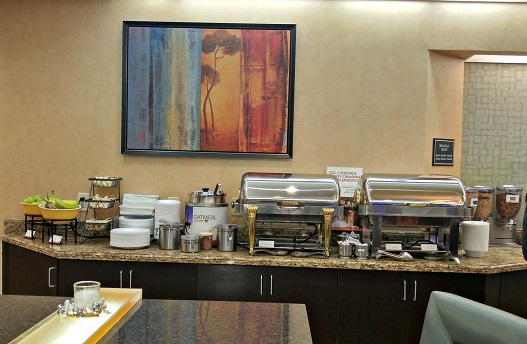 Fortunately, Residence Inn guests get a free hot breakfast that starts at 6AM! The breakfast area at the Fullerton Residence Inn is spacious and cozy. 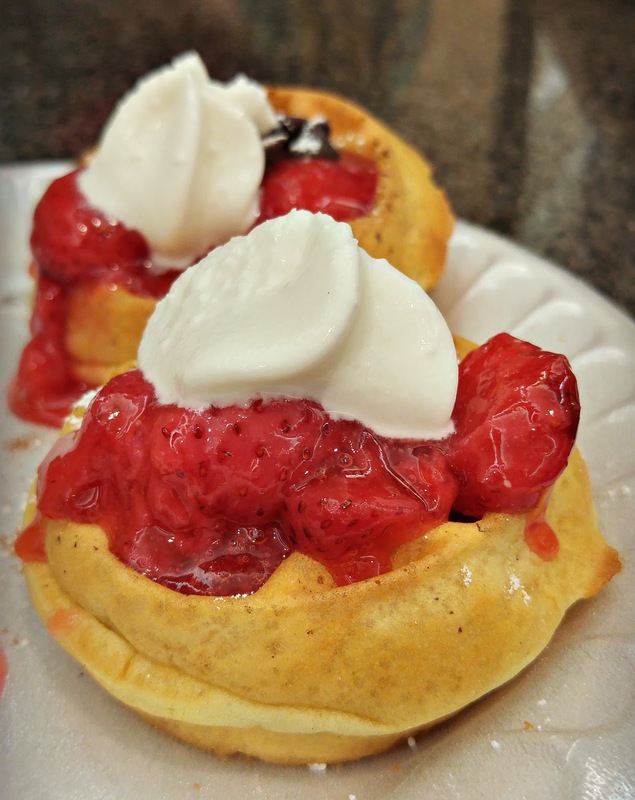 Hot dishes include sausages, eggs, potatoes, oatmeal, and make-your-own waffles, while cold dishes include yogurt, cereal, granola, and a wide selection of breads and pastries. There's more than enough food to fuel you up for a long day at the parks! 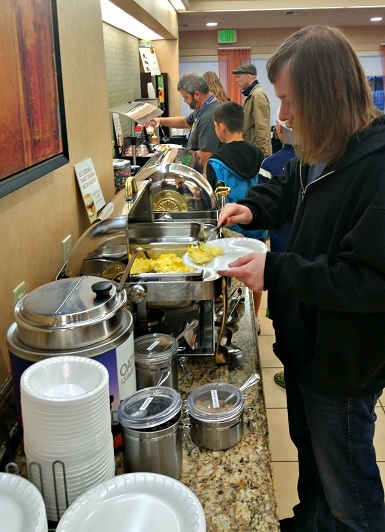 Check out these adorable mini waffles -- the breakfast bar included a regular sized waffle iron and a mini waffle iron! Guess which kind my kids fought over? 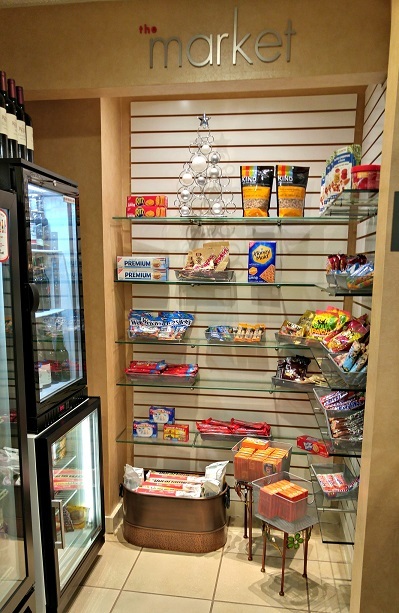 The snack area is super convenient: you can buy drinks, granola bars, crackers, and other goodies to take to the park with you so you're not constantly having to shell out $9 for a turkey leg or $5 for a churro. It's also a great place to get something to nibble on when you're hungry late at night. 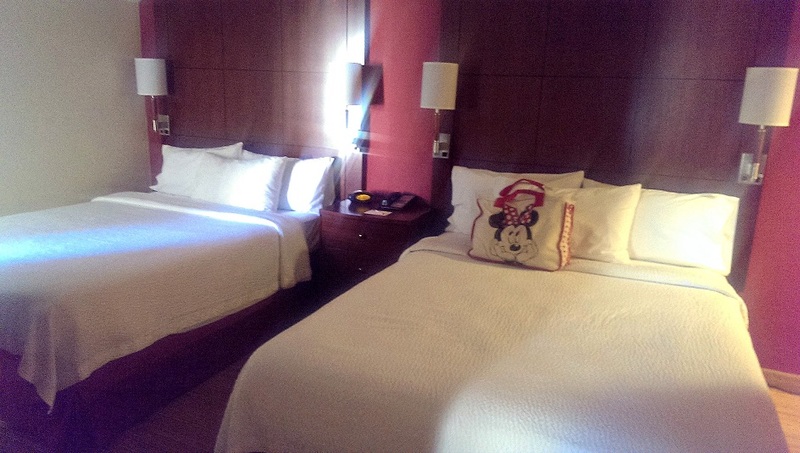 Disclosure: I am a Resident Blogger Ambassador for Residence Inn by Marriott, and I was given a gift card that partially subsidized the cost of our hotel room. The views and opinions expressed here are my own. You don't have to be perfect to be loved. It's what's inside that counts! That's the message behind UglySnuglies, a line of oversized, super soft, stuffed animals. 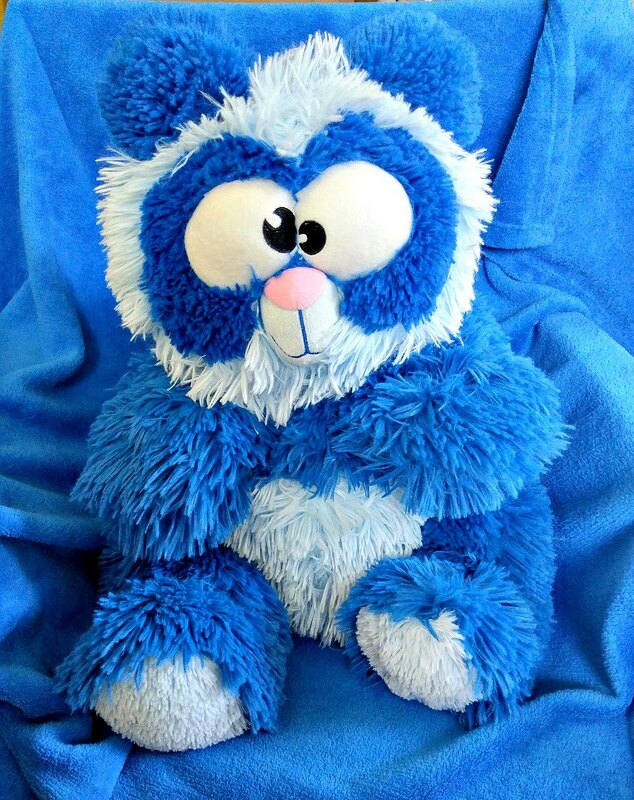 If your child likes stuffies and likes to snuggle, UglySnuglies are the perfect present. We received Porky Panda to review, and she was an instant hit with The Pea because of her ample behind (Porky's, that is!). Porky is soft and huggable, and comes with a blanket that's perfect for snuggling into when watching TV on the sofa. The blanket tucks into a zippered pocket located on Porky's derriere! Frankly, I don't think these stuffies are ugly at all. No, they're not your picture-perfect stuffed animal, but you can't help smiling when you see them, and it's not hard to find a soft spot in your heart for them. They are what The Pea would lovingly call "derpy" -- kind of clueless, extremely earnest, and always happy. Let me know which UglySnuglies you are interested in! Each one is different, so you'll want to collect them all. Each UglySnuglies retails for $29.95 plus $9.69 shipping and handling. 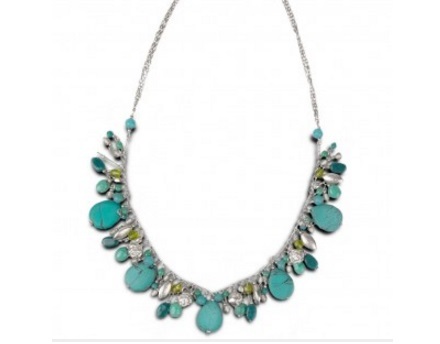 Use promo code SAVE to get 25% off the purchase price (you'll pay $22.50 instead of $29.95, plus shipping & handling). One of the best things about the holidays is seeing my kids' faces light up with joy when they receive that toy they've been longing for as a present. One of the worst things about the holidays is realizing that I have to make room for a ton of new toys. Not only do we have 3 kids, but 2 of them have birthdays on December 30, so our house fills up with Christmas AND birthday presents! And once the novelty wears off, half of the toys end up abandoned and forgotten. The concept of renting versus buying has been around for a long time, but in the age of e-commerce, it has been showing up in many more industries besides homes, cars, and furniture. Consumers can now rent clothes, shoes, bags, even video games! So why not rent toys as well? 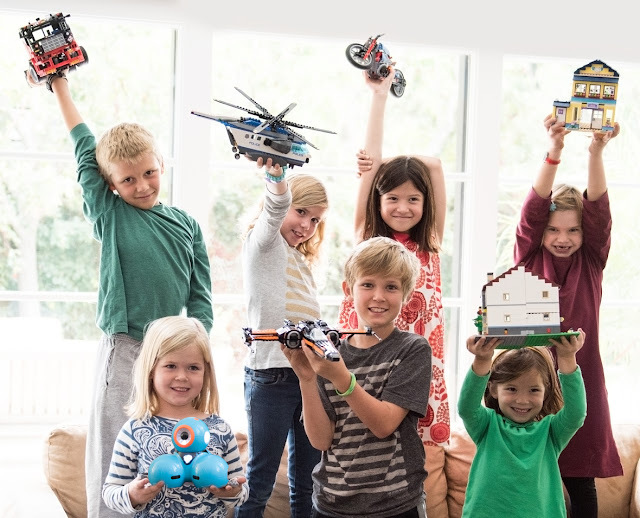 That's the idea behind Pley, a toy rental service that lets members receive unlimited toys (one at a time) delivered directly to their door. Plans start as low as $19.99/month and all plans include free delivery and unlimited rentals. Buying new toys costs money. Renting them costs less. When you own a lot of toys, you need space to store them all. With Pley, you send back toys once your child is done playing with them to make room for a new rental toy, so there are less toys to store. New toys always come with a lot of packaging. Also, there's bound to be a toy or two or ten that your child ends disliking, so it ends up gathering dust in the back of the closet. When you rent toys, your child can try any new toy he or she wants, without having to fork over the money for a new one. If your child doesn't like the toy, it's not a big deal, just return the toy! Done with that puzzle? Return it and get a new one! Kids never have to get bored with their toys because they can always get a new one. They can look forward to a new toy whenever they're done with their current toy. 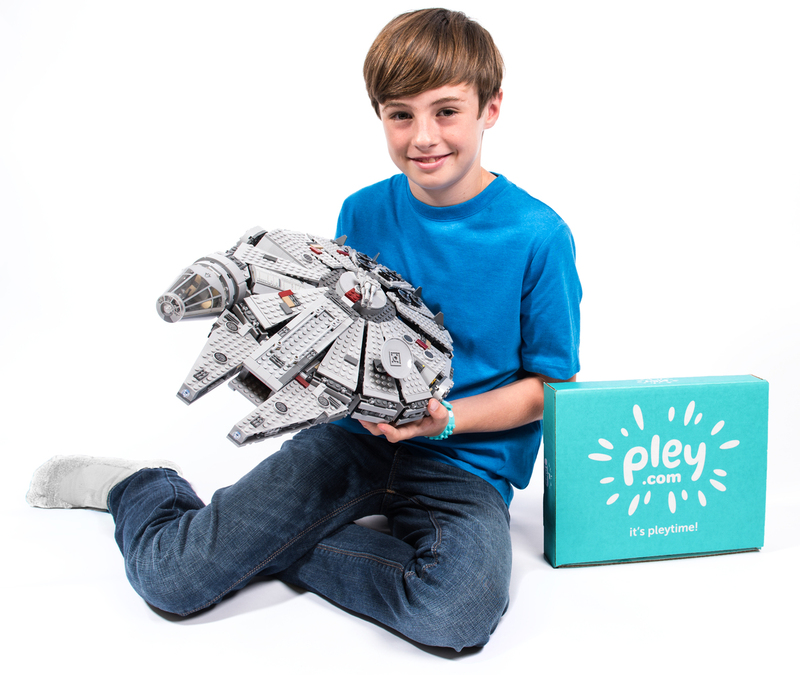 Check out Pley on the web and on Facebook. A Pley membership could be the best present your child receives this holiday season! 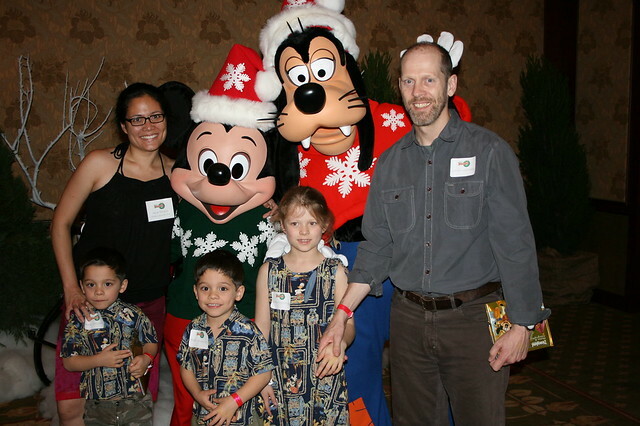 The last time my family celebrated the holidays at the Disneyland Resort was quite a while ago, but it is one of those memories you cherish forever. 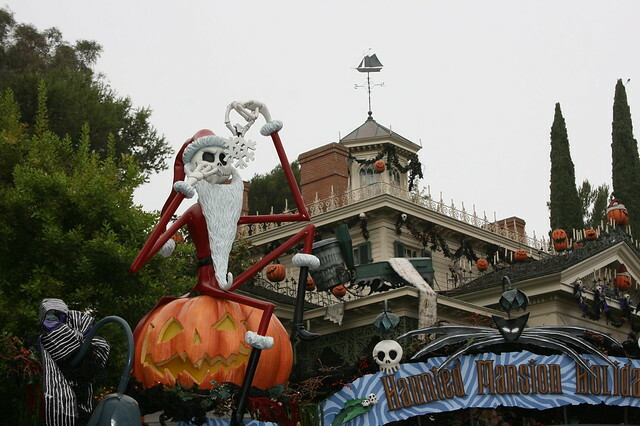 Holidays at the Disneyland Resort are really special, because Disney really goes out of their way to create special holiday traditions and memories for all their park guests. From special decorations to special food to special entertainment and special attractions, Disney sprinkles everything with pixie dust and holiday magic! “A Christmas Fantasy” parade, a Disneyland holiday treasure, presents Mickey Mouse, Minnie Mouse and an array of Disney characters celebrating the holiday season. 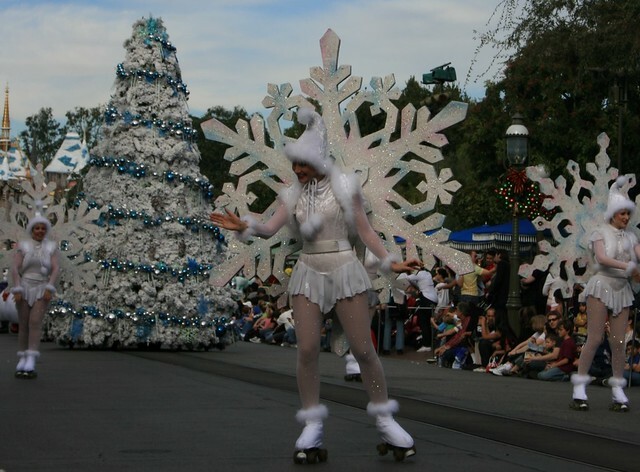 The daytime parade features 100-plus performers including Santa Claus, who brings jolly holiday wishes from the North Pole. 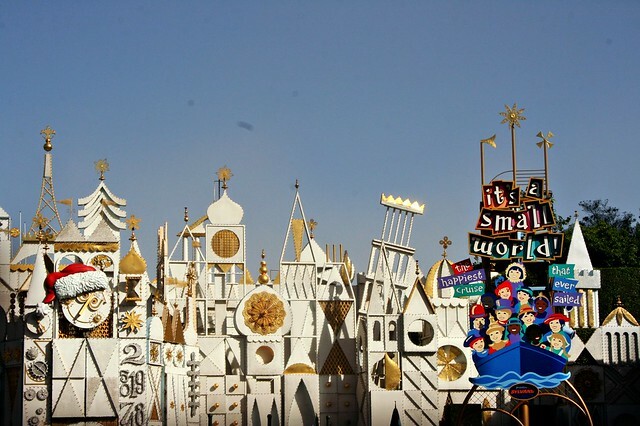 After dark, the Diamond Celebration “Paint the Night” parade will bring its own brand of glittering magic to Disneyland, with dazzling special effects, unforgettable music, energetic performances, Disney characters and spectacular floats. The luminescent parade creates a river of color flowing down Main Street, U.S.A., with more than 1.5 million brilliant LED lights. “Disneyland Forever,” the dazzling, new fireworks spectacular, is a street-to-sky, immersive experience like nothing seen before at the Disneyland Resort, with pyrotechnics, original music and viewing locations throughout Disneyland Park. Guests will be surrounded by the worlds of timeless Disney tales, from the tips of their toes to the sky high above, thanks to the largest installation of projection mapping technology in a Disney park and surprising special effects. Jingle Cruise, an instantly popular addition in 2014, returns to take adventurous guests on a fun-filled expedition. They discover a cargo of holiday gifts and decorations that have been jettisoned over the jungles of the celebrated Jungle Cruise attraction in Adventureland. This year, a few new surprises have been dropped into the Cruise’s African veldt scene. 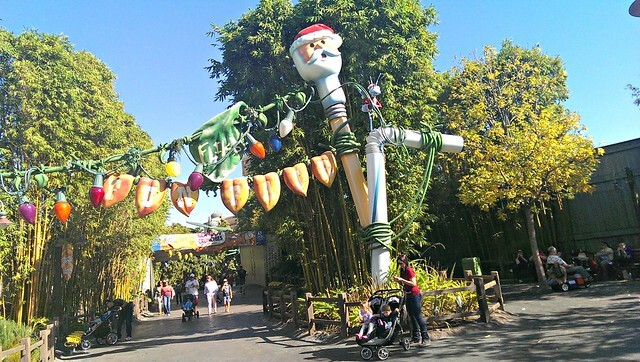 This year Santa Claus brings holiday cheer to Disneyland guests in a new location in Critter Country, specially designed for him by Winnie the Pooh and his friends. “Disney ¡Viva Navidad!” is a daily celebration of Latino culture and holiday traditions with music, dancing, vibrant colors and delicious food. Disney characters join the fun in the lively “Disney ¡Viva Navidad! Street Party,” presented multiple times a day. 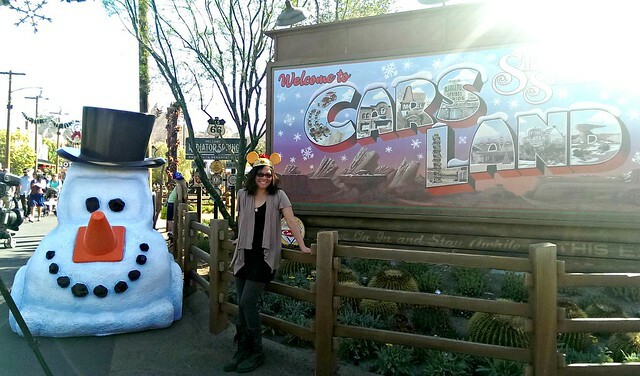 The residents of Radiator Springs will welcome guests with a “Snowcar” at the entrance of Cars Land, and each address along Route 66 – Flo’s V8 Café, Fillmore’s Taste-In, Cozy Cone Motel and more – will feature holiday decorations reflecting the personalities of the “Cars” character who lives there. The Downtown Disney Winter Village around the ice rink creates a festive mood and guests may purchase holiday gift items from the windows of the charming village chalets. 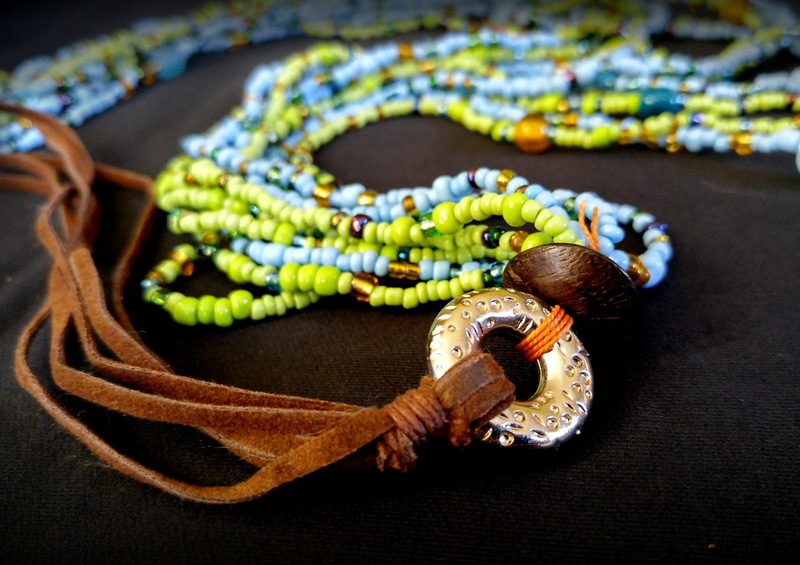 As socially responsible giving grows in popularity, many readers find themselves wondering which products actually impact society or where they can find them. 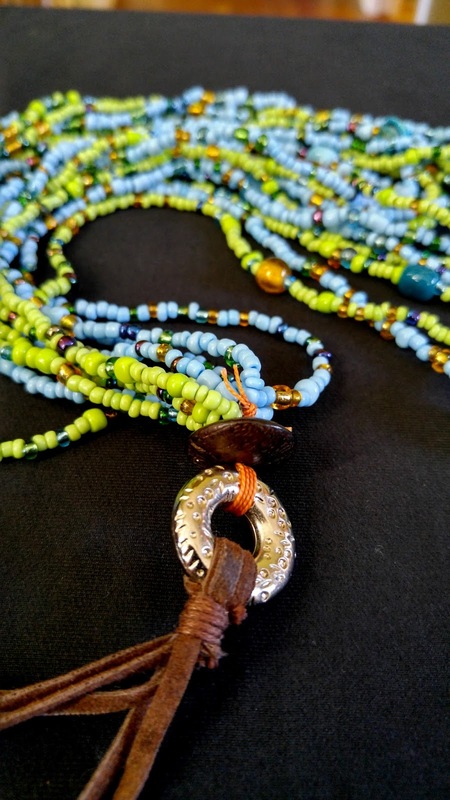 Look no further than the World Vision’s Gift Catalog. 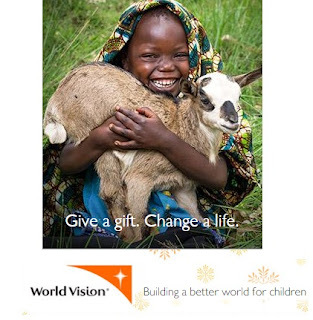 The 2015 World Vision Gift Catalog contains more than 250 poverty-fighting gifts, ranging in price from $16 to $39,000, that improve the quality of life for struggling children and families in the U.S. and around the world. This holiday season, you can give help where it is most needed and receive beautiful handcrafted jewelry for themselves or their loved ones. There are gifts for all budgets. 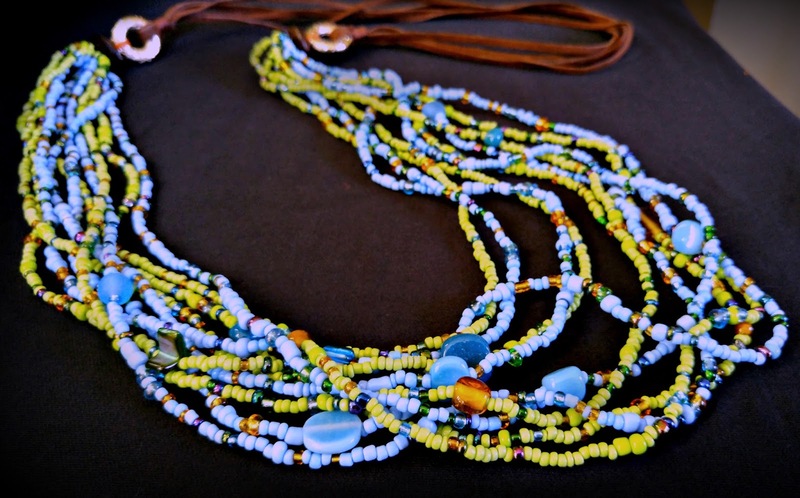 All of them are made by communities around the developing world and the artisanship is simply stunning! Chiang Mai leather bands - Chiang Mai Leather Band. 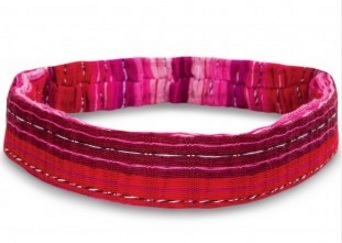 Men and women love these expandable wristbands made to support children of Chiang Mai, Thailand. Mango Wood Beaded Bracelet – Created by a community on the island of Java, these unique bracelets provide a sustainable income to help feed and care for their children – honor the special woman in your life with this gorgeous bracelet. 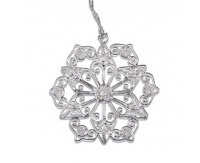 Christmas Star Ornament - This ornament is made from castoff metals by artisans helping to support childrens' education in India. 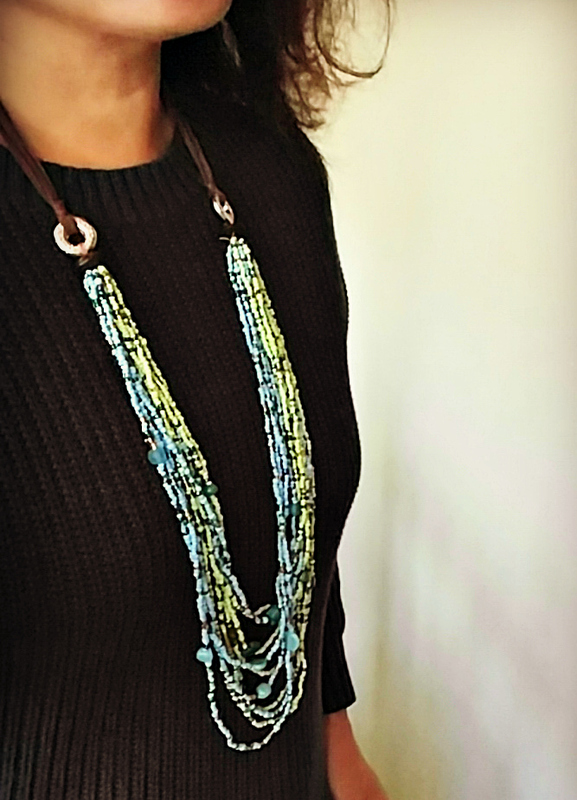 Drops of Turquoise Necklace - This 20" necklace was made by artisans in Delhi who are now able to support their family thanks to fair trade wages. 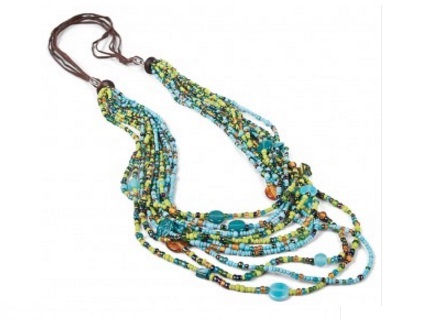 Balinese Multi-Strand Necklace – This beautiful, draped beaded necklace is handmade by Balinese artisans in a project that helps children in Bali receive an education. This necklace will leave you feeling pretty on the outside and feeling good on the inside, because the money raised from the purchase of these hand-crafted gifts goes to the Where Most Needed fund, which supports a variety of World Vision’s programs around the world. 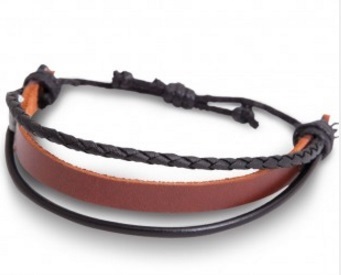 Which World Vision Gift Catalog item is your favorite? Share your choice and you could win a Balinese strand necklace like mine! 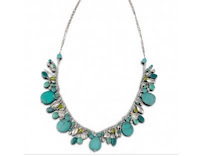 Enter via the Rafflecopter widget below by 11/30/2015. Good luck! The Star Wars world is coming to life at the Disneyland Resort! Star Wars Season of the Force is debuting TODAY at Disneyland Park, featuring all kinds of exhibits and experiences for Star Wars fans. In addition, Space Mountain is getting a Star Wars overlay ("Hyperspace Mountain") and Star Tours is getting an additional adventure inspired by the upcoming Star Wars movie, The Force Awakens. What a great way to get park guests ready for the eventual opening of Star Wars land at Disneyland Park! Traveling to a galaxy far, far away is easier than ever for guests visiting the Disneyland Resort. 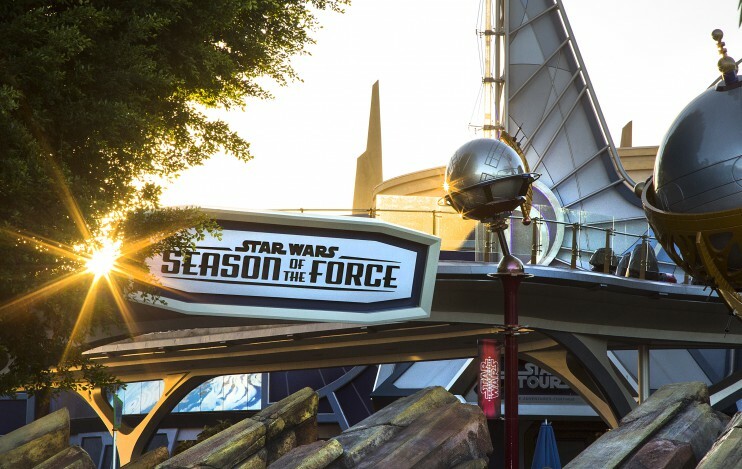 Beginning Nov. 16, 2015, Star Wars Season of the Force will debut in Tomorrowland at Disneyland Park, giving guests daily opportunities to explore, interact and have fun with the power of the Force. First Order stormtroopers patrolling the area outside Launch Bay are on a mission to find members of the Resistance. Inside, guests may encounter iconic characters Darth Vader, Chewbacca or even Boba Fett. The Cantina is a unique experience inspired by the “hive of scum and villainy” guests will recognize from the Star Wars films. From bounty hunters and smugglers to aliens, guests never know who they may meet here. Throughout the space, guests will find Aurebesh writings in the environment. Aurebesh is a writing system used to transcribe Basic, the most used language in the Star Wars galaxy. Guests may play current and upcoming Star Wars video games at the Game Center, including new and exclusive Disney Infinity 3.0 content created exclusively for this experience. 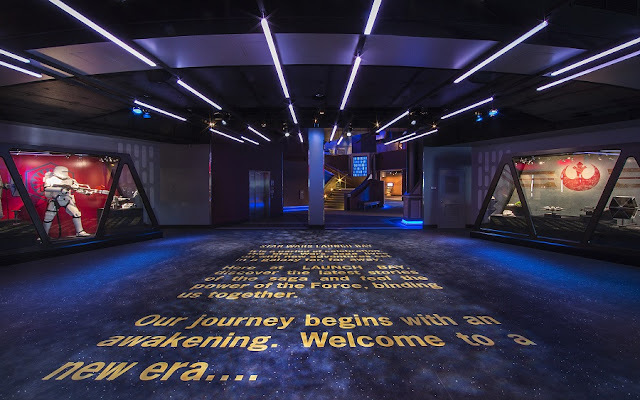 Exploring the Light Side Gallery, guests will find replicas of iconic helmets and lightsabers once wielded by Jedi heroes, including Luke Skywalker. And in the Dark Side Gallery, they’ll discover replicas of helmets and lightsabers used by the Sith, mortal enemies of the Jedi. A new adventure awaits guests as they climb aboard a Starspeeder 1000 and blast off on a thrilling tour of the Star Wars galaxy. 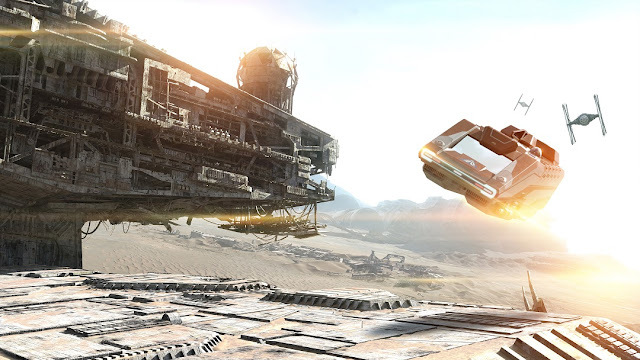 The new adventure includes scenes and characters from the upcoming film, Star Wars: The Force Awakens. 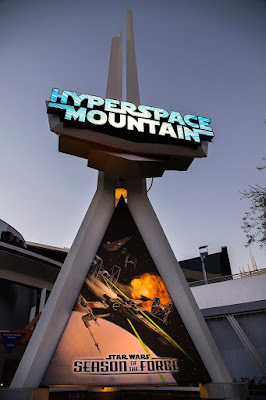 The popular Space Mountain attraction is reimagined as Hyperspace Mountain, thrusting guests into an X-wing Starfighter battle as they race through the darkness. The guest experience is enhanced by a new soundtrack, inspired by the films’ musical themes and re-orchestrated to match every move in the attraction. The soundtrack was recorded with the London Symphony Orchestra. This reimagined battle experience takes younglings to the secret site of an ancient Jedi temple, where they discover if they have the makings of a true Jedi. It debuts Dec. 8. Guests can relive stories from the Star Wars saga – or discover them for the first time – through this short, film compilation at Tomorrowland Theater. It includes moments from the new film, Star Wars: The Force Awakens. 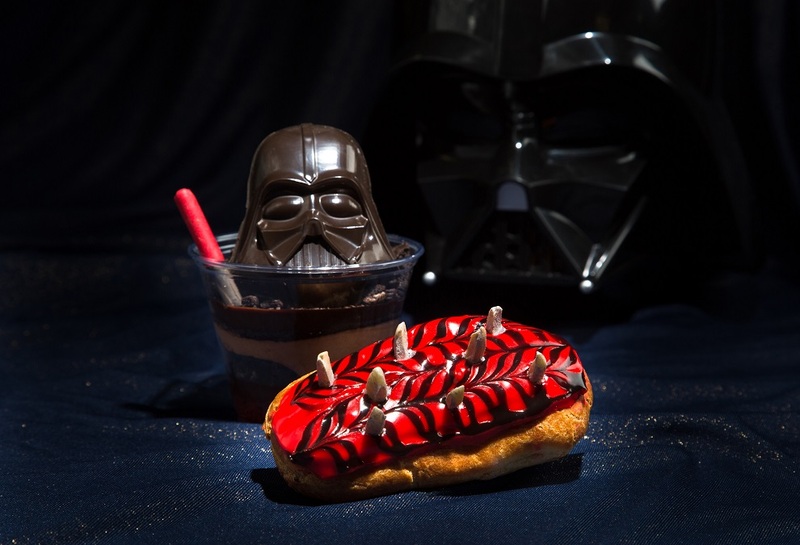 The Force takes over the Tomorrowland Terrace to offer dark side and light side menu items. For breakfast, guests may enjoy a blue corn Darth Tamale, with scrambled eggs and chorizo, red chili sauce and tomatillo. For lunch and dinner, the First Order Specialty Burger is tempting with a patty of angus beef and chorizo, topped with fried cherry peppers and spicy-lime aioli on a dark bun. Fun collectible items to take home include the BB-8 sipper cup and TIE Fighter premium popcorn bucket. Pizza Port in Tomorrowland also will offer new Star Wars-inspired menu items. Disclosure: I did not receive a sample or monetary compensation for this post. he views and opinions expressed here are my own. 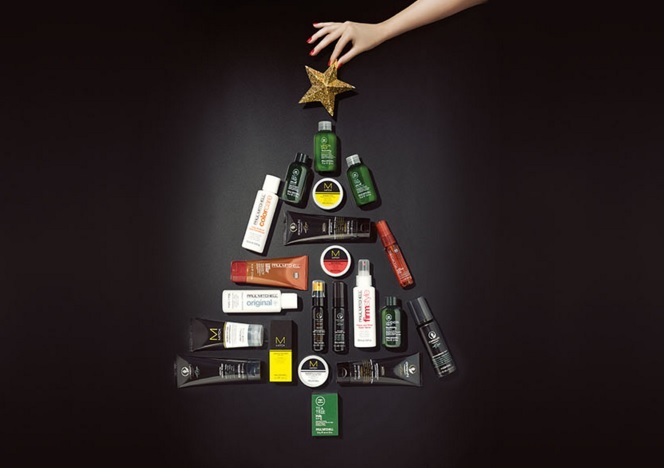 Of course, dressing up and partying is always fun, but it's important to remember the reason for the season, so Paul Mitchell is celebrating their commitment to live beautifully by doing good for people, animals, and the planet. Their holiday giving campaign, #GivingIsMyStyle, pledges to donate $1 to one of six charities for every social post with the hashtag #GivingIsMyStyle. 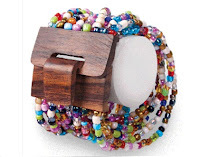 What a stylish way to do good! Reforest'Action:Paul Mitchell Tea Treeproudly supports Reforest'Action, an environmental organization that plantstrees worldwide, in the areas where they're needed most. Join The GreenTakeover and help us plant 500,000 trees by 2016. 1) Share why or how you give back on Instagram or Twitter. Whether it’sbuying a cup of coffee for your co-worker or planting a tree at your localpark, Paul Mitchell wants YOU to share your story to help create a better world. 2) Tag your post with #GivingIsMyStyle. 3) For every social post that includesthe hashtag #GivingIsMyStyle, Paul Mitchell will donate $1 to one of the six charities listed above, up to $200,000.